The new ATS Pyro-Clean® is a must have for any testing lab. 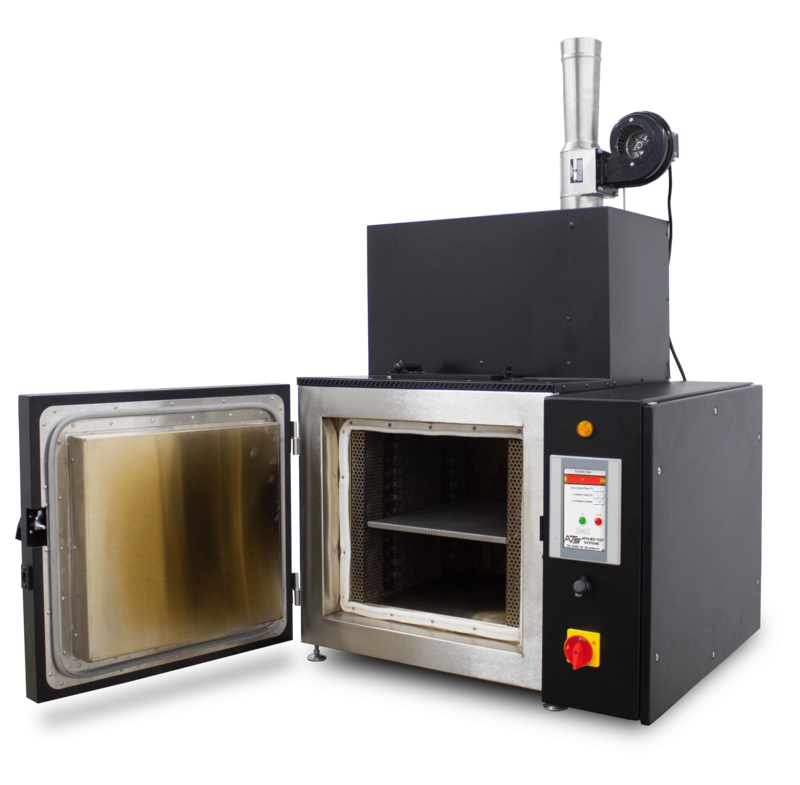 Designed to burn off test residue from lab equipment, it improves on previous versions and incorporates state of the art touchscreen technology, automatic operation, and a clean, matte-black design. Lab technicians no longer need to rely on scraping, wire brushing, or hand heating to clean equipment. Operators can simply place everything in their Pyro-Clean®, press start, and allow the machine to do the work. This not only reduces mess, but saves time and creates a safer, more efficient lab environment.